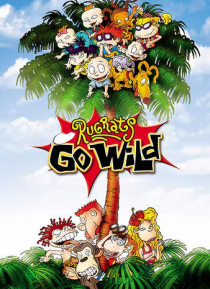 Chuckie (Nancy Cartwright) and Tommy (Elizabeth Daily) find themselves stranded with their parents on a remote island. By coincidence, the adventurous Thornberrys are also exploring the island. So, with his talking dog, Spike (Bruce Willis), in tow, Tommy takes Chuckie on a walkabout meant to find Donnie Thornberry (Flea) and his sister, Eliza (Lacey Chabert). They'll need to be careful, though, a… s exotic leopard Siri (Chrissie Hynde) is hungry and not afraid to make her presence known.